In our Hyperlocal Voices series we speak to hyperlocal publishers about their journey as they seek to build a successful hyperlocal offer. From time to time we also check in again on some of the more established players to see what’s changed and how their operation is evolving. One such example is Brixton Blog in South West London. Originally established by Zoe Jewell in 2010, the site has evolved considerably since, launching the Brixton Bugle newspaper in July 2012 (10,000 copies of which are distributed each month) and working with The Carnegie UK Trust as part of their Neighbourhood News initiative by providing structured work placements for local trainees. In 2013 The Brixton Blog and Bugle were shortlisted in the ‘Innovation of the Year’ category at the British Journalism Awards, alongside Sun Plus, Guardian Witness and Independent Voices in Danger projects. The team are currently in the middle of a crowdfunder campaign designed to raise money for a part-time news editor. Co-founder Tim Dickens tells Damian Radcliffe what’s changed at Brixton Blog since we first spoke to them in June 2012; alongside some of their plans for the future. 1. What’s been the biggest change to the site in the last 30 months? We’ve appointed more editors, who each work on different sections independently on a voluntary basis. These include: Features, Sport, News, Food & Drink, Arts, Music and Listings. The editors commission and write their own content and upload straight to the site, as well as being responsible for their own sections in our monthly print newspaper, the Brixton Bugle. We also have a couple of (very part-time) team members who are paid for their time, plus an ad sales person. The physical website hasn’t changed at all. 2. What sort of traffic do you now get and how has that changed? In the past few months we’ve averaged about 90,000 page views per month, from 65,000 unique visitors. If anything this has dropped from earlier days. Unsurprisingly, traffic is directly linked to volume on content. Sadly, the amount and quality of content going up on the site has varied depending on our time and resources. 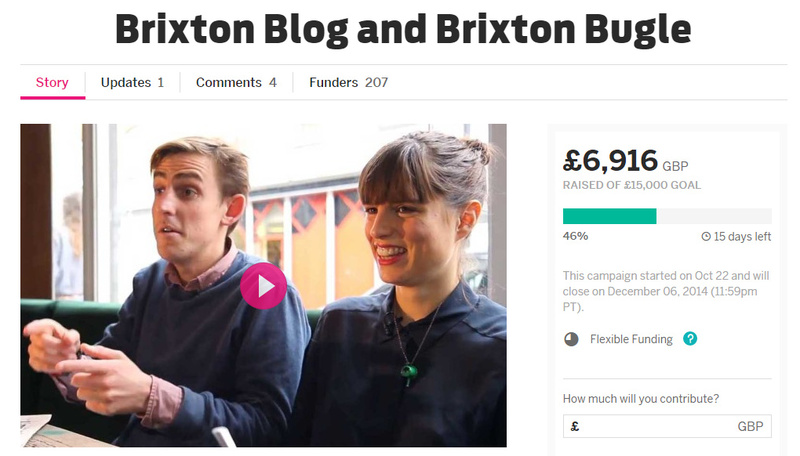 Our Twitter audience has grown to over 20,000 on our @BrixtonBlog handle – and this helps to build traffic. Our weekly mail-out list continues to grow steadily. 3. Have you seen any changes in the way that audiences interact with you? We still get the most traffic from social media. Facebook is highest for referrals followed swiftly by Twitter. We have tried to structure our articles to prompt debate, and as such we have seen an increase in discussion about the issues we cover. This is less and less on Brixtonblog.com, but increasingly takes place on Facebook. We also have a lot of offline interaction from people who have read the Brixton Bugle who may not be online – we get a lot of phone calls to the office and letters by post. 4. How would you describe your relationship with the traditional media in the area? We don’t have a relationship with the traditional local media. Because we have a print newspaper we compete with them for print advertising and licensing notices. Our local newspaper, the South London Press, doesn’t have much of an online presence so we don’t compete online. Our biggest competition in terms of traffic comes from other blogs and websites, like Brixton Buzz. 5. What new blogs, bloggers or websites have you seen which you think are doing this stuff well? We have an enormous respect for London SE1. They are not new – and the fact they have been doing this for so long is testament to how good it is. I think hyperlocal publications can learn a lot from them. Our neighbours, the Herne Hill Forum, provide a very useful service to residents in terms of a directory and discussion forum which has spilled on to do a lot of offline civic good, like setting up the Herne Hill farmers market and attracting funding for street improvements etc. I’ve always had a huge respect for Simon and Sally at OnTheWight.com too. 6. What are you most proud of over the past couple of years? 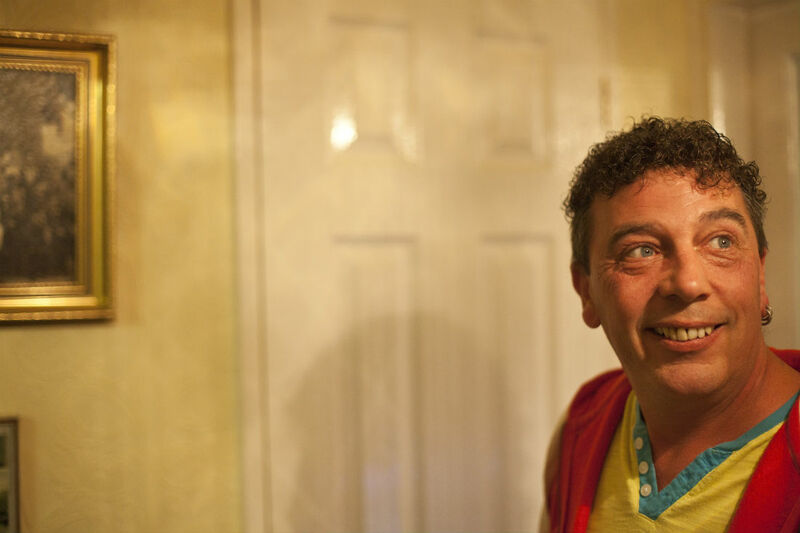 We ran a beautiful series of features called Faces of Cressingham Gardens, it was a print-first portrait of a series of amazing people who live on an estate which is threatened with demolition by Lambeth Council.To add value to the news coverage we gave to the residents’ campaign, our features editor and a photographer teamed up to give a picture of six very different residents who’d lived there for a long time. It was a moving piece that went beyond the headlines and added real colour and a human element to the news stories.Keith Lewis (the writer) left the politics out of his articles and really succeeded in capturing an essence of his subjects. The first woman he interviewed sadly passed a few weeks later, and we received a really touching letter from her family saying thank you for the article. People still tell me how much they enjoyed reading it. 7. What is currently your biggest challenge? Creating a financially sustainable platform to do what we do and pay some contributors and editors for their time. Also, funding a central management role to keep it all together. At the same time – and all linked in – we struggle to cover all the relevant news and information in the area, including attending council and other community meetings. 8. What are your plans for the future? We really want to increase our coverage of local news – including council meetings and community events – which we don’t have the resources to do at the moment. In the long term, we’d love to see a weekly or fortnightly edition of the Brixton Bugle newspaper, although that is a long way off. We’d like to expand the opportunities that we can offer local young people by way of training in the media industry and journalism too. We’ve launched a crowdfunder to help pay a new news editor, part-time, to get on top of all the news stories and content that we often miss. 9. What one thing would most help you to move successfully to the next phase of the site’s development? An angel investor, or grant funding, to give us 6 months to really build a sustainable platform to provide what we do. This entry was posted in hyperlocal, online journalism and tagged Brixton Blog, Brixton Bugle, Brixton Buzz, business models, Crowdfunder, Damian Radcliffe, funding, Herne Hill Forum, Hyperlocal Voices, Hyperlocal Voices Revisited, Lambeth, London SE1, On the Wight, reverse publishing, South London Press, Tim Dickens on November 24, 2014 by Damian Radcliffe. Damian Radcliffe is the Carolyn S. Chambers Professor in Journalism at the University of Oregon, a fellow of the Tow Center for Digital Journalism at Columbia University, an honorary research fellow at Cardiff University’s School of Journalism, Media and Culture Studies, and a fellow of the Royal Society for the Encouragement of Arts, Manufactures and Commerce (RSA). He is an experienced digital analyst, consultant, journalist, and researcher who has worked in editorial, research, teaching, and policy positions for the past two decades in the UK, Middle East, and USA. Reblogged this on Damian Radcliffe.